Now that it's 2019, we’re going to start the new year here at Peak Prosperity by responding to the wishes of our premium subscribers and making our most recent premium report free to everyone. For those unfamiliar with our work, it's based on the idea that humanity is hurtling towards a disaster of our own making. Several powerful and unsustainable trends are all converging towards an ever-narrowing gap in the future. Because of this, the individual and collective choices we make today take on ever-increasing importance. Our collective choices -- around such issues as rampant money-printing by central banks, the failure to wean ourselves off of fossil fuels, and tossing an entire younger generation under the bus because that’s most convenient for an older generation afraid of living within its actual means -- are all pointing to a diminshed and disappointing future. We need to make better choices that align ourselves with these (and many other) looming realities. For ten years now, we've been pointing out the many predicaments society faces. And we will continue our vigilance. Not because we enjoy crisis, or that we relish delivering hard messages, but because these are the times in which we live -- and those, like you, who are awake to reality, need unvarnished facts and data to make informed decisions. So we offer to you, today, a peek behind our premium subscription curtain. The people who subscribe to our work do so to make themselves more resilient, as well as to support Peak Prosperity financially as we carry on our mission of "Creating a world worth inheriting", which involves bringing difficult messages to reluctant audiences. It's not the easiest work, but someone has got to do it. And we've willingly taken that responsibility on. And here we are again in 2019, warning everyone of the same risks. Starting back in August of 2018 we were questioning whether “it” had arrived and then were declaring that it had throughout October and November. That’s funny! 10 years of steadily rising “markets" driven by these algos and the WSJ was entirely unconcerned. Now that stocks have been shown to also go down, suddenly the impact of these algos is very concerning to the WSJ. No worries as long as these programs are whipping prices higher, but a lot of concern when they amplify the moves down. From oversold to over-bought to oversold to overbought all in 48 hours. Now a cash flowing rental property, either residential or commercial, is another matter entirely. Those are assets. Lever up for those! Borrow away. We’ll be holding a Real Estate investing webinar in January so keep an eye out for that and be sure to sign up. The way the government records things your neighbor had their personal economy expand by 25% and that's a very good thing. Neither the US government nor the Federal Reserve bother to back out the borrowing when they count up economic activity. 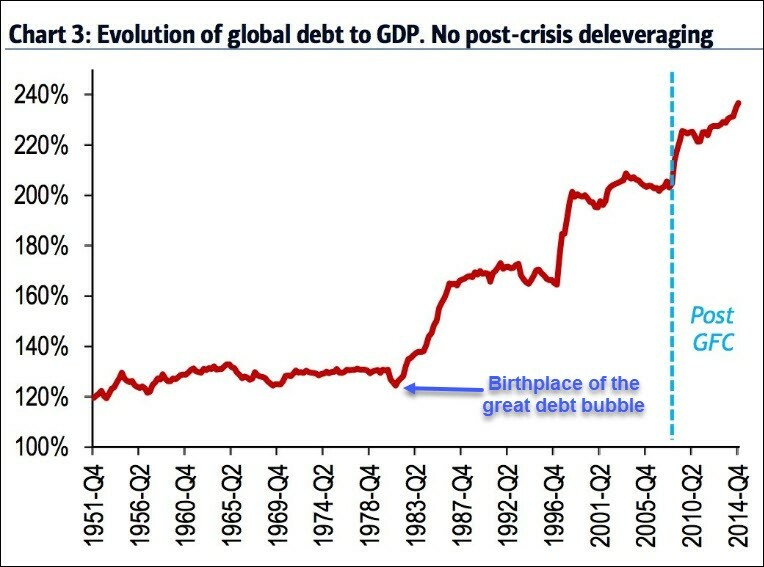 Because of just how dire it might be to end a 40 year long, and very ill-advised credit bubble, we are 99.98% certian the central banks will fight tooth and nail to keep it going. Just a little longer, for as many months or years as they possibly can, but they'd kick the can forever if they could. They're teeny, tiny plants and organisms but their impact on ocean life is huge. "They actually determine what's going to happen, how much energy is going to be available for the rest of the food chain," explained Pierre Pepin, a senior researcher with the Department of Fisheries and Oceans in St. John's. "Based on the measurements that we've been taking in this region, we've seen pretty close to 50 per cent decline in the overall biomass of zooplankton," said Pepin. "So that's pretty dramatic." Scientists say local testing reveals half the amount of plankton in a square metre of water today. It's not just a problem here, declining plankton numbers are a global phenomenon. First they came for the insects, but I didn't realize that they were important because I hate mosquitoes and didn't really pay attention during biology.